Creative Spirits returns to West O. 31 Aug Creative Spirits returns to West O. Creative Spirits Okoboji returns on Thurs. 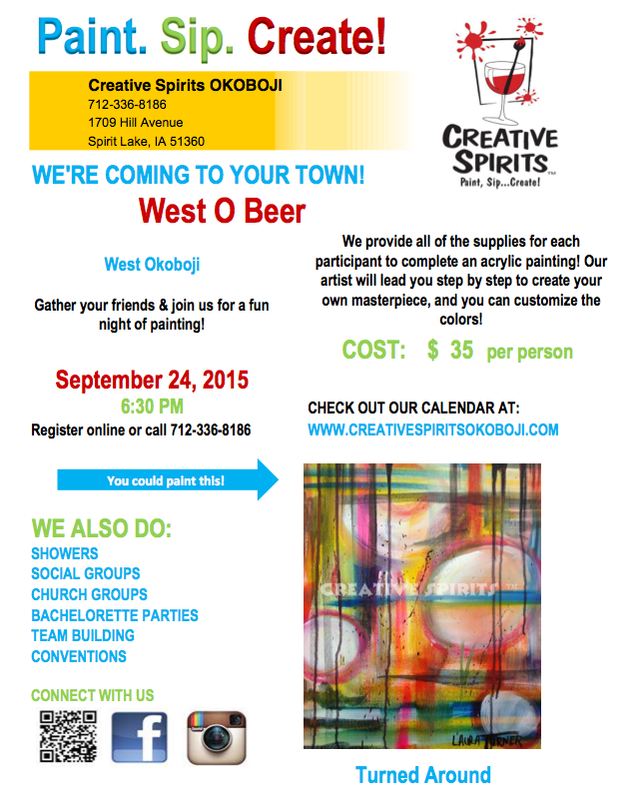 Sept. 24th at 6:30 to paint Turned Around at West O Beer. Get creative making your masterpiece while enjoying our masterpiece beers. We hope to see you there!